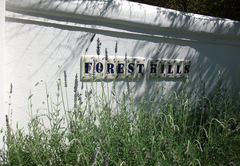 Forest Hills Cottage is a highly recommended property providing self catering in Tokai for tourists visiting the Constantia Valley region. 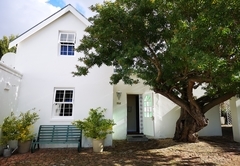 Forest Hills Cottage is situated on the slopes of the Constantiaberg Valley, Tokai, nestled between the stunning Steenberg wine Estate and the beautiful Tokai Reserve area. 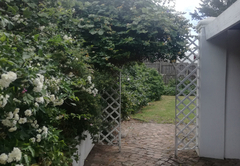 Gated access to the property and a private road then leads you to the white gated entrance of Forest Hills this lovely, peaceful and private old residence. 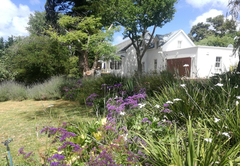 We have the privilege of being situated on the Constantia Valley wine route now extending from Steenberg farm, Uitsig, Buitenverwaghting, Groot and Klein Constantia all the way up to Glen Constantia. 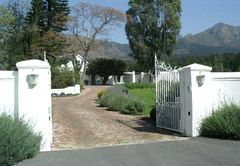 This area boasts some of the world's finest wine producing farms and award winning restaurants with the most wonderful views across the vineyards and surrounding mountains. 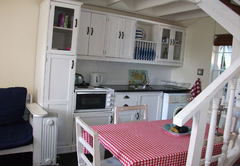 This charming cottage has a Queen bedroom on a mezzanine level above the kitchenette, table and chairs, couch and TV area. 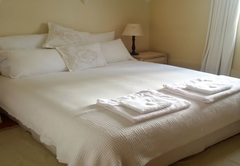 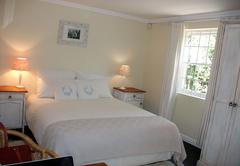 The cottage also has two Single beds in the downstairs bedroom next to a full bathroom. 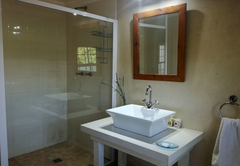 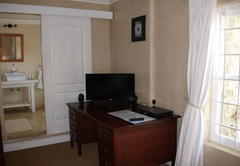 Fully self-catering, serviced daily, DSTV and WiFi, towels and linen provided in all units. 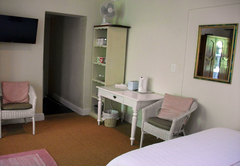 A lovely room with a Queen bed and en-suite bathroom with a shower. 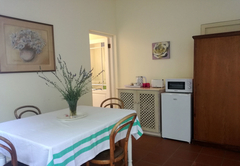 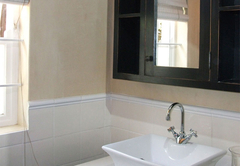 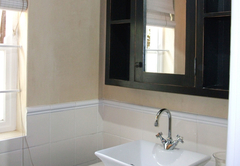 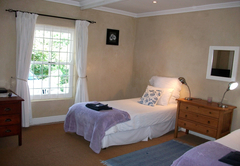 The room has a kitchenette as well as dining area and is fully self-catering. 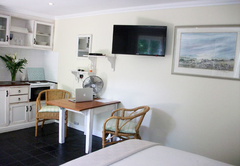 Honeysuckle is serviced daily and has DSTV and WiFi. 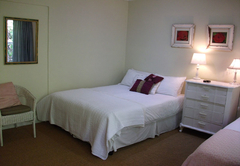 A spacious room with a Double bed and a Single bed equipped to heat up meals or prepare light meals. 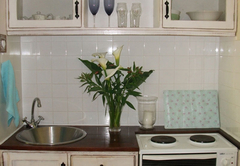 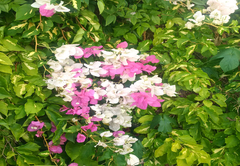 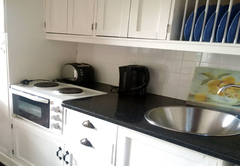 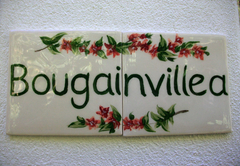 Bougainvillae is semi self-catering and has a toaster, kettle, microwave and fridge. 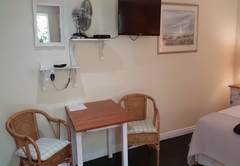 Serviced daily and has DSTV and WiFi. 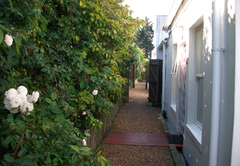 The cottages are well secured and we have private security in the only access road to this area. 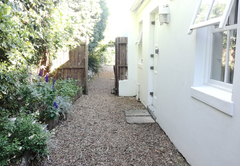 There is ample secure parking within the property. 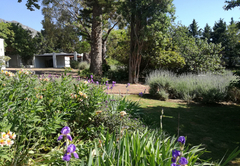 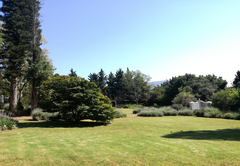 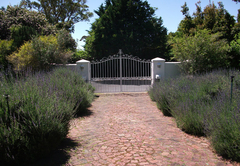 Guests have access to a private garden, patio and braai are as well as access to the Tokai Reserve through electronic gates from the property. 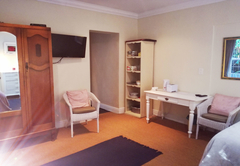 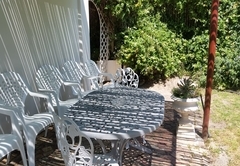 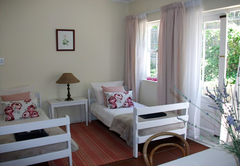 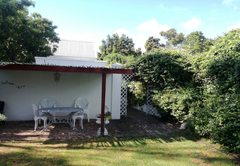 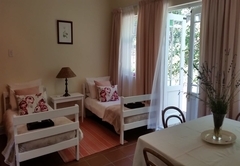 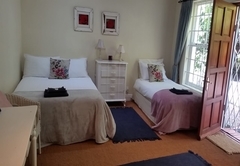 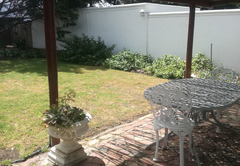 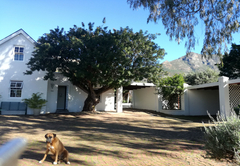 The cottages are centrally situated for easy access to all areas in Cape Town. 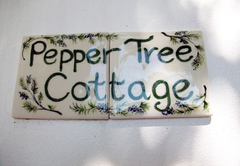 Regrettably no pets allowed, and no smoking inside the cottage. 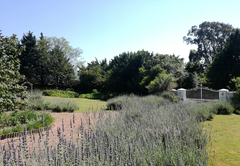 Access to local shopping centers, two golf courses, a spa facility, the American Embassy, Westlake and Steenberg business park are within a two kilometer radius of this area. 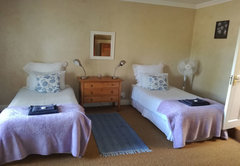 The M3 highway takes you into Cape Town and to the waterfront, on the opposite side of Tokai is the scenic route of for Peninsula drives to Cape Point and the various beaches, with all the natural beauty that the Cape has to offer. 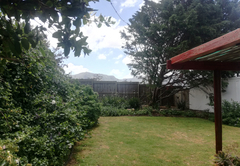 Along the way there are many hiking and biking tails in the Tokai Reserve and to the upper Silvermine mountain areas for those who love to be among the fynbos and see the view of the Cape from above. 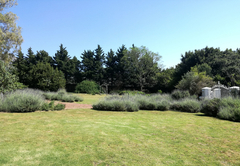 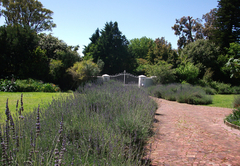 For walkers and runners there are many routes close by and trails through the Constantia green belts. 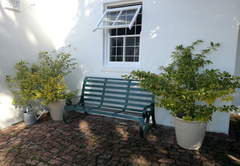 A very enjoyable long-weekend. 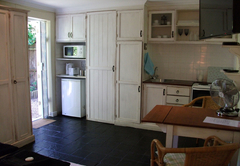 We found the cottage to be clean and well equipped; the location is quiet and very relaxing. 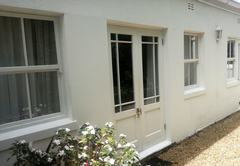 Cathy was welcoming and helpful - no issues whatsoever, we'll doubtless be returning in the future. 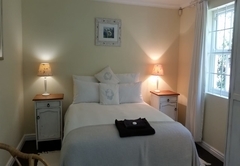 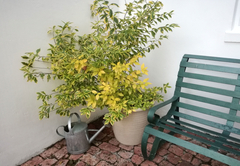 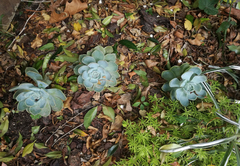 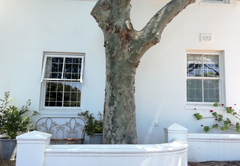 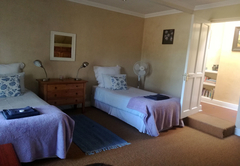 My family and I have stayed at Forest Hills many times over the last few years, and we would not hesitate to recommend it as a comfortable and relaxed place to stay in Cape Town. 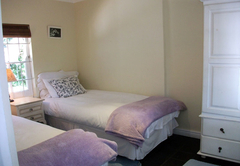 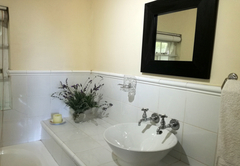 Both the cottage and the one bedroom en suite are spacious, well equipped and furnished to a high standard. 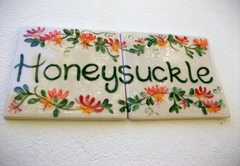 Cathy, the hostess, always goes out of her way to make her guests feel welcome and her presence is reassuring, but never intrusive. 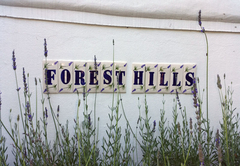 Forest Hills location is perfect for wine farms, great restaurants, beaches, mountain walks and shopping. 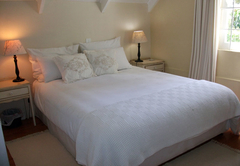 We love staying here and recommend it highly!